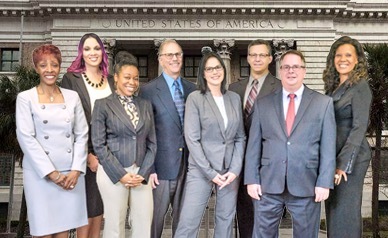 As family law attorneys who assist a number of clients going through divorce in Florida each year, we frequently hear clients tell us that they decided to get a divorce because they experienced ‘the last straw,’ or, conversely, that they felt blindsided by their partner, who said that something triggered ‘the law straw’ and made them want a divorce. The last straw is often more a culmination of realizations and issues over time as opposed to the dramatic event or fight that is sometimes portrayed in the movies. It is often a symptom of a series of ongoing issues or breakdowns in the marriage until, one day; one person decides that it is more painful to stay in the marriage than to leave. In other words, the last straw can be the result of an emotional realization as opposed to a major event. As a result, many people do not realize that it’s arrived until it’s actually there because it can be extremely difficult to predict how you will feel and what you will do when triggered, and the spouse who doesn’t experience it can sometimes feel blindsided. It can be especially surprising because it is often the culmination of small behaviors which, over time, can break down the relationship. For example, one partner may decide that, after getting the silent treatment for the 100th time, they’ve had enough, and that is the last straw. It may also come as a surprise to those around them with respect to what they see on social media. A number of couples have their couple profiles so well-managed on social media that the last straw—and divorce itself—can come as a complete surprise to others in their lives. In most instances, the last straw isn’t as much of an outward event as it is a moment of self-realization; the realization that someone no longer wants to work on the issues they were perhaps willing to work on before. What this also means is that, if one person experiences it before or without the other, that person is usually able to grieve the end of the relationship before the other, and even emotionally detach themselves. Of course, not every divorce involves a final straw. Regardless of what the circumstances are, selecting the right person to assist you and work alongside your interests is absolutely key. 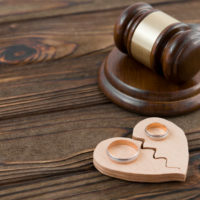 Contact our Florida divorce attorneys at HD Law Partners to find out more about how we can help you with next steps.